A little boy and his furry friend seem to confirm that the age-old adage still applies - "dogs are a man's best friend." 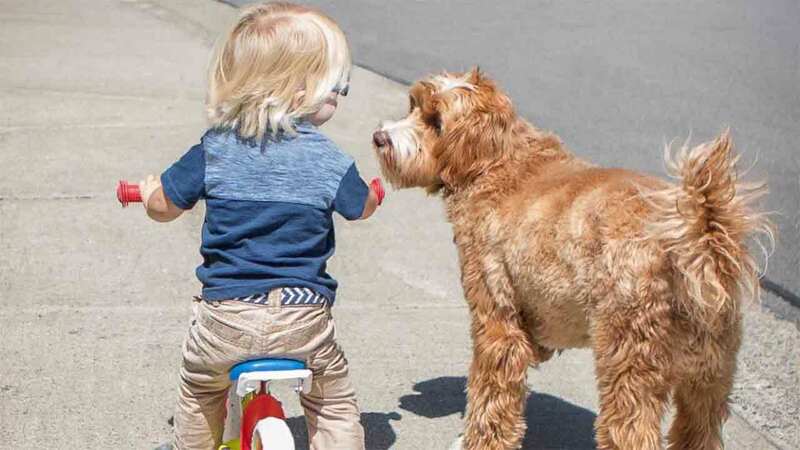 For the boy and Mr. Reagan the Australian Labradoodle, it was love at first sight. Sandi Swiridoff explains that her daughter, a foster parent, had two of her foster children adopted. The foster grandmother said she knew she would need something to fill the hole, and that's when she adopted Mr. Reagan. It was shortly thereafter that a new child was placed in the care of Swiridoff's daughter, and the child quickly became Mr. Reagan's best friend. Both the boy and the dog were 11 months old when they first met, and the boys turned 2 in February. "When they met, they just clicked and bonded," Swiridoff told ABC News. "It looked like love at first sight and they have been best friends ever since." The bond between boy and dog was so cute that Swiridoff started to snap pictures of them together. The photos soon become her Instagram's biggest hits.